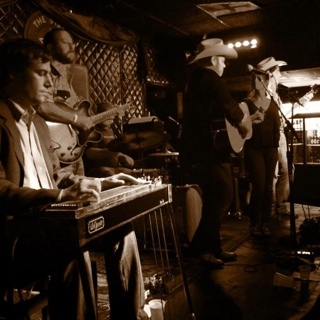 Sans Abri headline RLC Bluegrass Thursday with local honky tonk band Interstate. Show starts at 8pm, but come early for the bluegrass pickin' party! Sans Abri is the French term for "homeless." 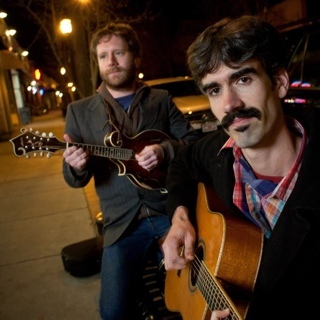 As founding members of The Packway Handle Band, Josh Erwin and Michael Paynter had written songs that had not found a home in the band's bluegrass based format. It was from this that Sans Abri was born. Using a cajon to loop live drum beats and alternately adding acoustic and electric guitar and mandolin the band creates a unique sound that steps away from their bluegrass roots and finds itself in the realm of Americana Alt-Roots.